Accessibility Statements (previously referred to as Accessibility Information Pages) have long been an important component of most Structured Negotiation settlement agreements addressing web and mobile accessibility. These pages are also found on sites where there has been a litigation or federal agency-based settlement, or where a company recognizes on its own that accessibility information is important to its customers. 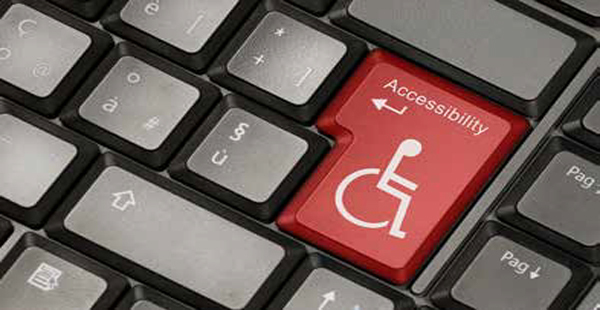 The U.S. Department of Justice has long required Accessibility Statements as part of its digital accessibility settlements with public and private organizations. The European Union Web and Mobile Accessibility Directive (20160 requires public sector bodies to publish Accessibility Statements. the UK‘s requirements for what is needed on an Accessibility Statement. Some lawyers advise organizations not to put up an AIP for fear that will attract legal complaints. I disagree. One page on a website cannot guarantee a full site will meet established access standards, or that the site will be usable by every site visitor. But Accessibility Information Pages usually demonstrate at least some level of commitment to accessibility and to the needs of all site users, even if the process is ongoing. I believe that posted accessibility pages help organizations avoid legal action — so long as there is an active phone number and email address and site visitors get prompt and positive responses to feedback. Today’s consumers expect transparency; an easily findable and up-to-date accessibility page is increasingly expected. It’s absence a sign that accessibility is not a priority — or worse. If you discover something good on a site with an Accessibility Information Page, use the contact information to let the site owners know. And if you uncover an area that needs improvement, or worse, let them know that too. Feedback helps keep the page current, and shows the site owner that accessibility matters to its customers, clients and site visitors. Below is a list of links to the Accessibility Statements (previously referred to as Accessibility Information Pages) of some of the largest entities operating on the web. (Visiting these links will take you away from LFLegal.) You may also be interested in WebAxe’s July, 2013 post about Accessibility Twitter accounts maintained by large companies, or the post on LFLegal about companies committed to an accessibility culture. Visit the Accessibility Statement for this website (LFLegal.com). Do you know of a page that should be added to the list below? Please use the contact page and let us know. Bank of America Bank of America also offers screen reader tips to its customers. You may have to first chose your state before being directed to the Accessible Banking pages. BBC Accessibility Portal (Web My Way) includes links to best practices, how to guides, and the BBC accessibility policy. Houston METRO (regional transit agency) Accessibility Page. METRO also offers readers Accessibility Screen Reader Usage Tips. University of Michigan Includes information on standards, best practices and more. WellPoint (Anthem) WellPoint is one of the largest health benefits companies in the United States, operating many Blue Cross/Blue Shield franchises including Anthem Blue Cross in California and Empire Blue Cross in New York. This post has links to Accessibility Statements (formerly called Accessibility Information Pages). Accessibility means that technology, including websites and mobile applications have been designed for people with and without disabilities. These pages let the public know that a company is thinking about all its site visitors. A good page should have a phone number for people to call if they face a barrier on the website. This page also has links to pages on company websites talking about accessible products and services. Back to top of this post.